Cryptocurrencies are the next step in financial evolution. Being the first decentralised digital currency based on a system that works without a central bank or single administrator, BTC is a breakthrough in both financial trading and asset allocation. Online currency trading has just improved… but will it replace traditional investing? People like gold. It is a safe-haven asset. That is why most investments are made in this precious metal. But the early gold rush days are over; gold and bullion buyers shouldn't treat it as a get-rich-real-quick scheme. It's still a sound longer-term investment. There are insights of ancient gold mines and mining operations dating back to 200,000 years BC. Civilisations started to trade gold around 600 BC, and it is still used by dealers and investors with great enthusiasm today. Gold is also sure to never lose its intrinsic value as a precious metal with numerous practical applications. Additionally, we need to say that fluctuations are less extreme than many other investment commodities, including Bitcoin. 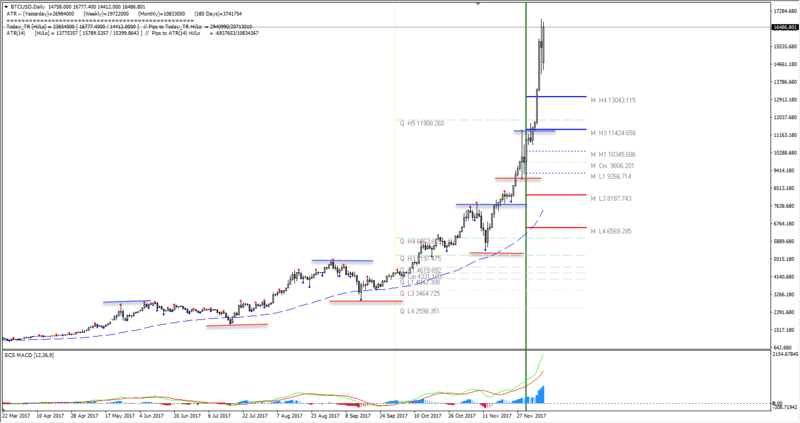 We could also assume that Gold might rebound. The US Dollar is negatively correlated to Gold, and any weakness in the former should positively impact the latter. The cost of mining gold might increase substantially, and more miners might cease gold mining operations. If that happens, the prices will increase as gold reserves will be limited. Gold accounts for approximately 1-2% of market participation. An increase should lead to price spikes. 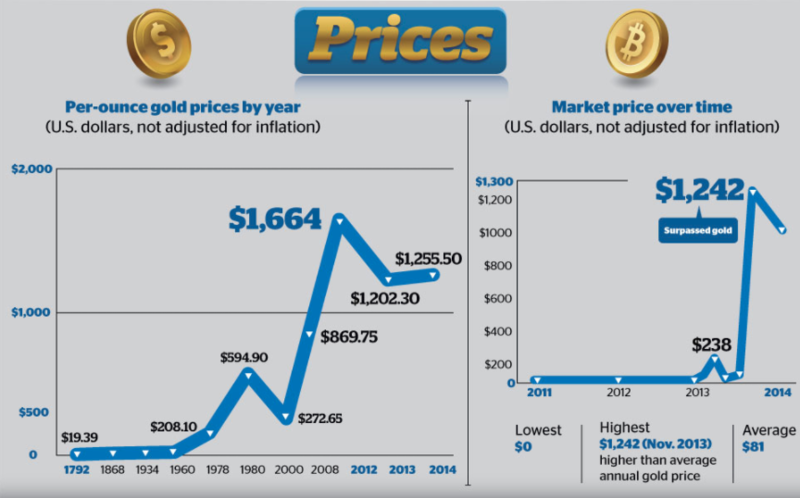 In addition, any uptick in the inflation rate might increase the price of Gold. Furthermore, as the Debt-to-GDP ratio in developed countries has been steadily increasing, this is a sign of further money supply, which is positive for precious metals, such as Gold. Bitcoin has a finite supply, but it has one distinct difference when compared to other investments. For the first time that we have something that's not fully controlled by any entity, like a government or bank. However, Bitcoin is unlikely to fully replace Gold as an investment asset because the system has yet to scale itself in common marketplaces, where it can achieve a truly "universal" status and be used as a legitimate form of currency. We are now witnessing irrational behaviour in the cryptocurrency market. People think it's the future, but it reminds me a lot of the dot.com bubble... and it might burst – hard. come up with an alternative if we are not able to get paid in small amounts. One more thing to notice is that if we go higher into 2018-2019 with equities, Bitcoin might crash with equities and real estate. Usually, all risky assets blow up together, and we might see a value destruction. When loans get written off, it actually reduces money supply, whereas assets devalue and currencies get stronger in that environment. Want to find out more about Bitcoin? 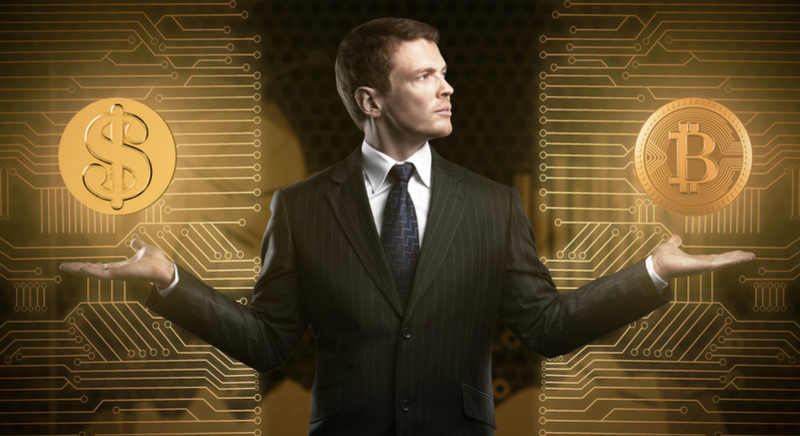 Boost your knowledge by checking out our What is Bitcoin article, now! The adoption of BTC futures should be seen as a very positive step for Bitcoin. Banks say Bitcoin is generally a bad investment because it falls in the unregulated space, thereby calling it "risky"; and they are saying this as it could eat into the personal banking services of banks, making it easier and cheaper to transact funds between people and/or merchants using Bitcoin technology. The introduction of BTC futures is a move into the regulated space, making it a reduced risk for Bitcoin's profile. Fundamentally, when you consider what Bitcoin offers society, in the sense that it is a store of wealth (especially, for countries with extremely devaluing currencies and hyperinflation) and it's a platform allowing a transactable service, there is a possibility that it could reach 70,000 USD per Bitcoin, which would take it to a market capitalisation level of USD 1 trillion, and still a fraction of the Gold market, which is valued at 7 trillion USD. Note also, Bitcoin is much easier to use for transactions, unlike Gold. In addition, technical analysis shows that it might reach 70,000 USD per Bitcoin, as crazy as it may sound. The use of futures exchanges should provide more liquidity in the coin, making it less volatile. There could be a major push by governments to shut the technology down, this is because it would rival their own national currencies, making it harder to implement monetary policies. In addition, banks have deep pockets and may decide to buy out Bitcoin in order to protect their personal banking department revenues that are at risk from this technology. To the conspiracy theorists, it could also be possible that banks and governments could employ hackers to take out the technology, rendering it unsafe and causing a mass exodus of monies in the cryptocurrency market. This is one of the general bitcoin security risks. As Central Banks print more and more money over time, devaluing the value of fiat currencies, their current QE programmes could be deemed very risky, bloating Central Bank balance sheets. As Central Banks embark on such wild decisions, they are demonstrating no accountability to safeguard the long-term value of their respective fiat currencies in a currency war environment. The key factor with the CME announcement is that now large investors can hedge their exposure so they have no reason to avoid Bitcoin. The coming days will reveal how much institutional interest there is. If they can hedge, they will go in. Remember the dot.com bubble? Conservative funds were forced to invest in risky high-tech stocks because their results looked poor in comparison to the tech funds. The same may happen to cryptocurrencies. When funds are getting double digit returns by putting some of their funds into crypto, everyone will get on board. It is claimed that Bitcoin cannot be hacked, manipulated, or altered; however, exchanges or digital wallets are vulnerable, just like online bank accounts. If you hold any Bitcoin, you may become a target. As Bitcoin doesn't actually exist in a physical sense, held in the wallet are secure digital keys in relation to Bitcoin. The private key is a secret code allowing the user to prove ownership of their Bitcoin. Wallets installed on smartphones using an app, or web-based wallets, can also be activated on currency exchanges. Bitcoin holders need to ensure their computer's security is up-to-date, and such exchanges require a high-level of security. James Hill, a software developer at Scott Logic consultancy, says the security of the core blockchain algorithm, which underpins all cryptocurrencies, is strong. He mentions that the real risk comes from losing the keys that prove coin ownership. how to trade bitcoin on mt4. Gold might be going through a revaluation phase, where cryptocurrencies like Bitcoin are now rivaling it as the preferred risk-off asset, or when such inflation risks persist. This crypto hype has potentially weakened some demand for Gold. Furthermore, there is the possibility that the US FED may hike rates three times over the next 12 months, and this shifts further investments from Gold into bonds. For that reason, as well as everything that's been mentioned above and due to high cryptocurrency price potential, the right thing to do in our opinion is to actually TRADE Bitcoin vs other currencies, like the BTC/USD CFD that Admiral Markets offers, for example. Due to the uncertainty surrounding Bitcoin as an asset, you might like to exploit its daily movements to your advantage. Simply put, when investing in Bitcoin, the traditional buy and hold strategy is still unsafe. The Bitcoin strategies you could choose to adopt are daytrading, intra-week trading, and/or scalping. You can always watch our professional webinars and ask for any trading-related advice on our MT4 platform. Traditionally, there is a price cycle in every asset and financial instrument. We distinguish four major price/market cycles. Depending on the market, they share similar characteristics and go through similar phases. Markets are cyclical, they can go up, peak, lower, and then bottom. When a cycle is finished, the next one begins. Many investors and traders usually fail to recognise that markets are cyclical or forget to realise the end of the current market phase. In addition, even when you accept the existence of cycles, it is almost impossible to pick a top or bottom of such cycle. However, understanding of cycles is essential if you want to maximise trading or investment returns. By using our charts, you will be able to exploit major BTC/USD CFD movements on both lower time frames, such as the five-minute chart, and higher time frames, such as daily charts. You might also want to invest in the BTC's strength (or weakness) by trading the weekly and monthly chart. By using the offered leverage in a smart way and trading BTC/USD CFDs, you might potentially make much higher returns than simply buying BTC. Should bitcoin become a form of currency? As with all technology, something better may come along in the future, and when this happens, it could cause Bitcoin's value to drop, doing so in spectacular fashion. Unlike currencies, Bitcoin has no interest yield, therefore, in a normalising monetary policy environment with rising rates, it's best not to try and treat this commodity as a long-term store of value to fund your retirement. Although BTC presents innovation and perhaps evolution as a virtual payment system, there are still many issues in terms of security and sustainability that need to be addressed before we can encourage customers to use it or accept it as a method of payment. Whilst we believe that Bitcoin could eventually be a viable investment choice, it should never surpass the stability and versatility of Gold as an investable commodity. We suggest starting with a small investment amount to begin with, perhaps a small fraction of your capital, about 0.1%, to learn how it works, how to trade it, and how to handle it safely in a wallet. If you're going to trade BTC/USD CFDs – or Gold Spot CFDs – we suggest you pay close attention to the risks that may be involved with trading and should always practise any trades on a Demo account, before venturing into the live market.